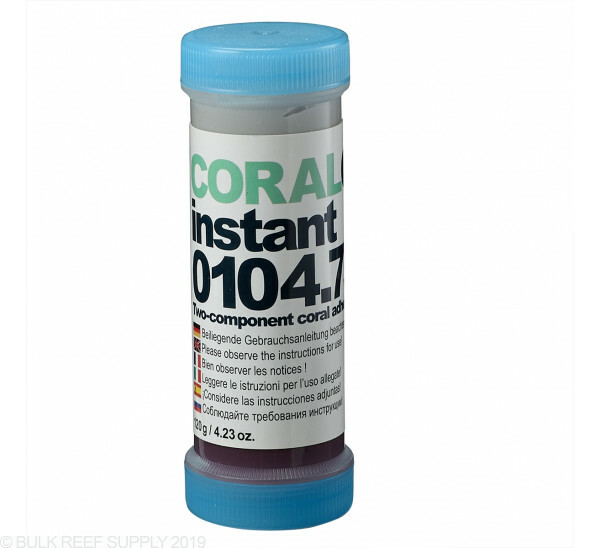 One of the fastest setting epoxies we have ever used and is great for mounting large corals, or aquascaping. 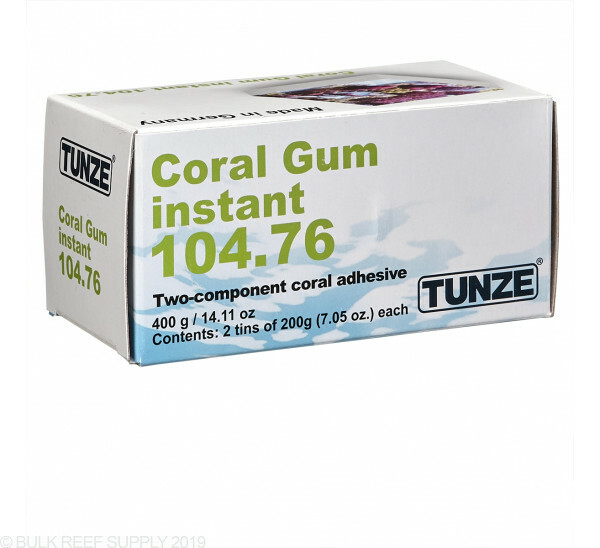 The Tunze Coral Gum is really nice as it doesn’t have the traditional epoxy smell like most other on the market. 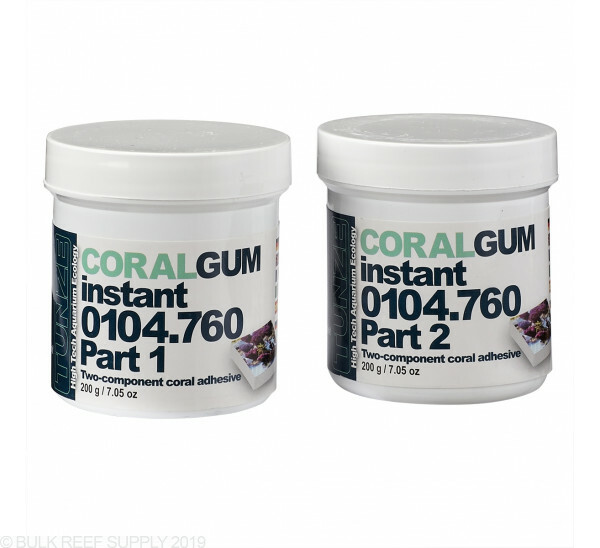 Coral Gum instant is a two-component coral adhesive for safe cementing of coral fragments to rock, frag plugs or frag disks. 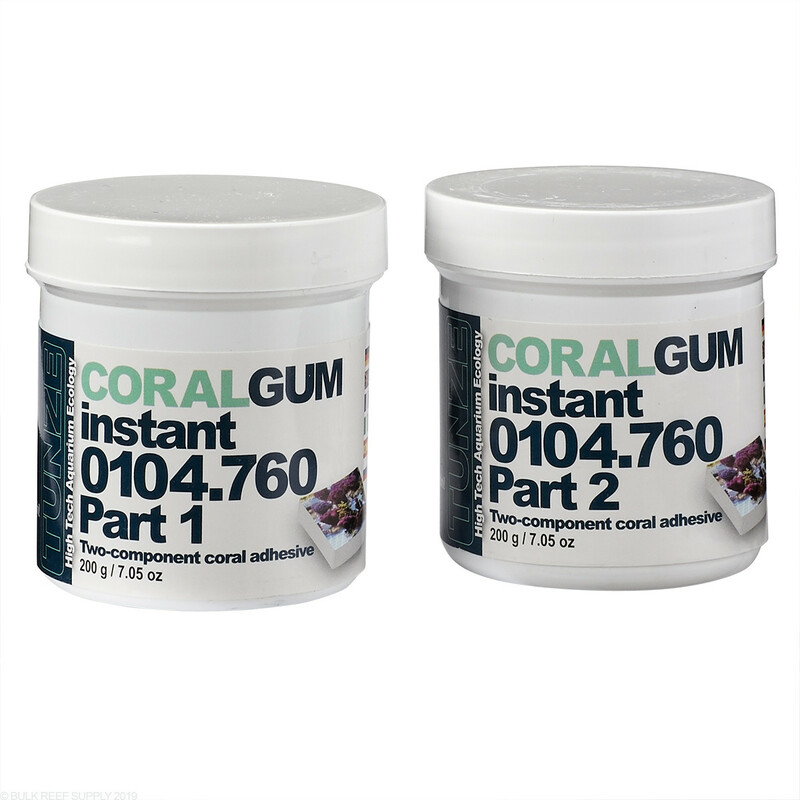 No deleterious matter or adhesive residue is introduced into the aquarium water. This epoxy is great if you know what to expect from epoxy of this type. I have never used a clay type 2 part epoxy that is sticky underwater and this is no different. If it was any stickier it would be a mess to work with. This stuff is great and makes zero mess when you're working with it. It does set up rather quickly but as long as you don't mix up a ton of it you'll have no problem. The negative reviews on this product are in my opinion, from those who are clueless! I like this stuff but sometimes cannot get two wet pieces to stay together and I end using glue. Works great on dry rock! The best way to use this epoxy is to mold it around the rocks. Once I figured this out I was able to create an amazing aquascape that appears seamless. 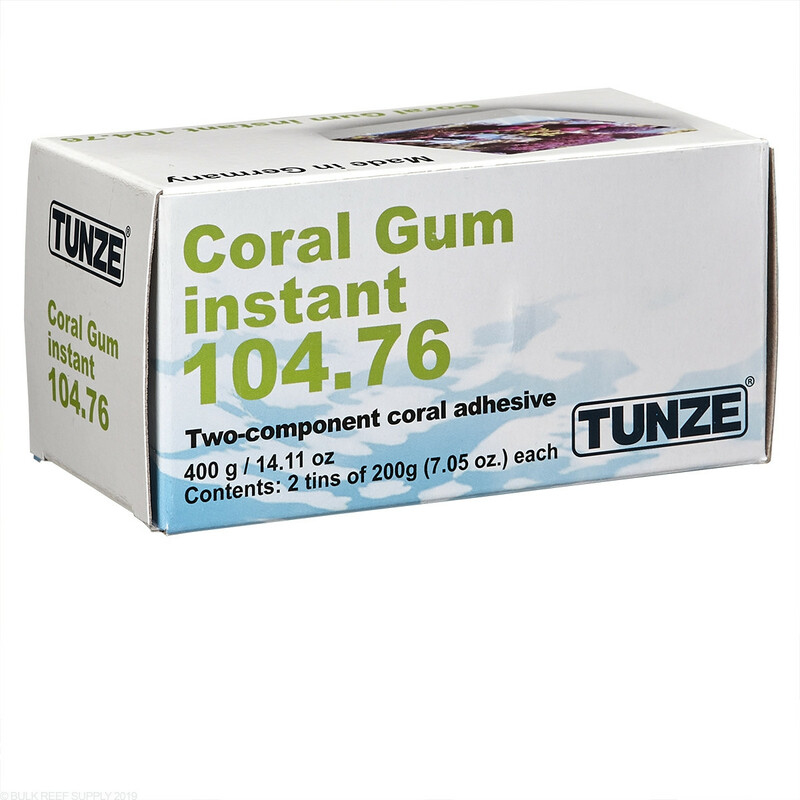 I agree with the other review that this product isn't sticky, but with this product your not gluing your rocks together your molding them together. It's also fast setting, you have 30 - 60 seconds to work it into place. Overpriced, not even remotely sticky and hardens way to fast. Not really sure what people use this overpriced epoxy for. Horrible for trying to aquascape does not hold very well at all. For frags yet to be seen. I've used several different types of epoxy in the past and this is by far the best I've ever used. Others make a skimmer go nuts, stink to high heaven, or simply are hard to mix properly. This stuff is just awesome. It's super soft right out of the package and mixes in seconds. I've used it to epoxy several Pukani rocks together to make larger structures and it's like a rock. The rocks I put together don't budge at all. I can't understand why other can't get this stuff to work, but it's friggin' awesome. Only bad I could say about it is it cures SUPER quick, so use it is very small portions... but once you know that.. it's all good. The only other thing is cost. But based on how well it works and not messing with a skimmer and no stink... this will be the only epoxy I use going forward. 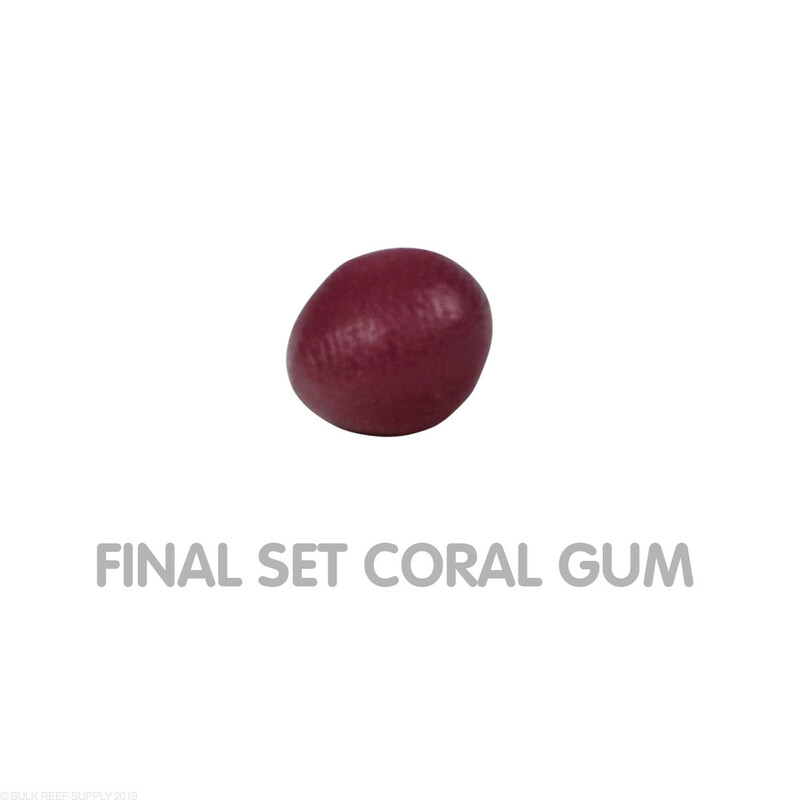 I purchased this and made 5 attempts to attach one bird nest frag to my live rock and failed miserably every time. Will not attach to rock or frag. Total waste of money. I was a bit leary with the price, ordered my first small tube and loved it. Albeit it the price is high, it works great, turns hard rapidly and doesn't crumble like jb weld does half the time. I likes it so much I just ordered the big tub to do some rock repair. Easy to use. I use it for attaching frag rubble to my main rocks. I like to use it only for smaller jobs. Definitely will purchase again. This two part putty is easy to mix, doesn't leave a purple residue on your hands (dry your hands before use), doesn't "cloud" the water and cures quickly to a slightly rubbery consistency. It isn't sticky at all, so it won't work well as an adhesive (as some of the poor reviews have indicated). I use it to create a platform in irregular rock surfaces to allow placement of a frag....then glue the frag to the platform with CA.....this composite technique works super well! 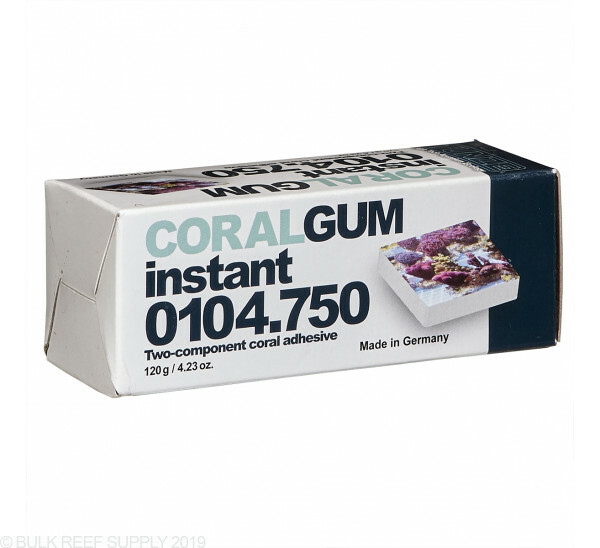 I've used this to place larger colonies and small frags and both work well. 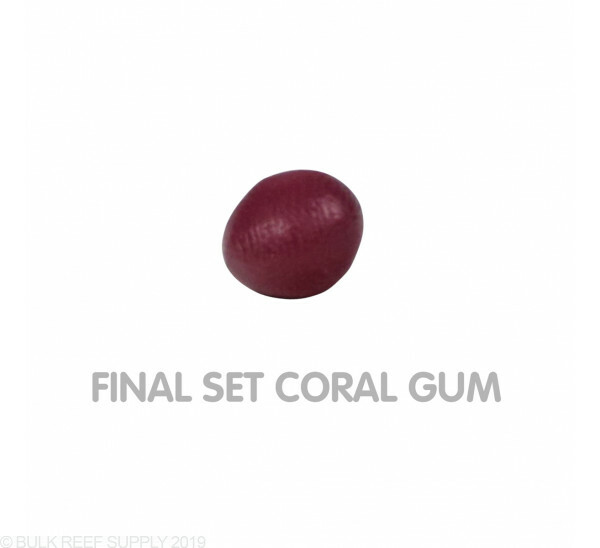 The color is purple but slightly lighter than "corraline purple" so it is best to minimize the visibility of the platform....still looks better than a big wad of CA to me. I really like this stuff but man is it expensive. I went through the 120 gram container mounting 4 frag plugs to my live rock. Do the mating surfaces need to be dry and clean? 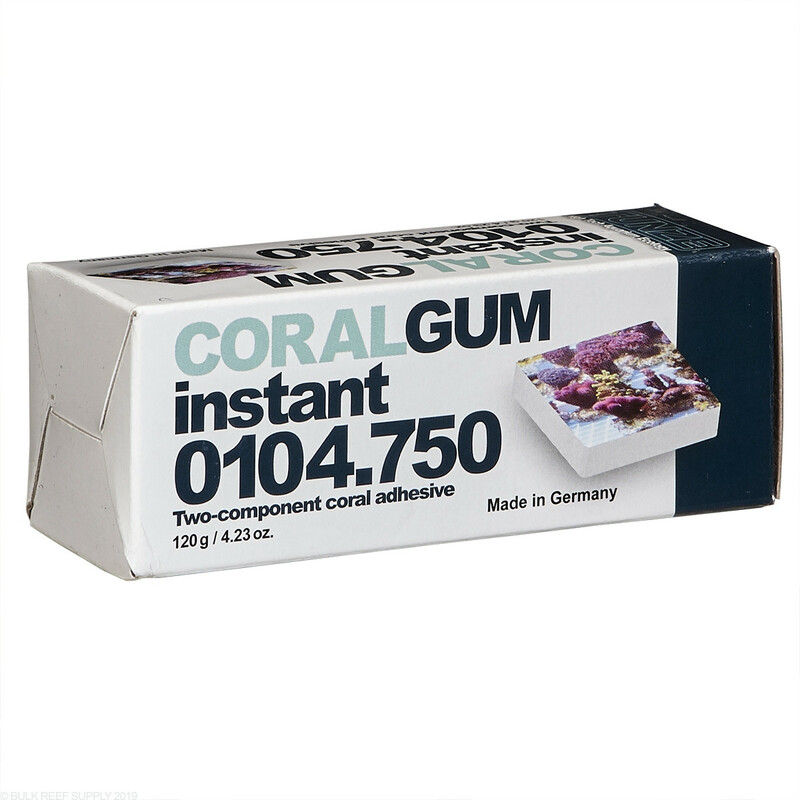 Can the Gum be used to affix a wet frag to a submerged rock? This can easily be mounted to wet surface. By pressing the epoxy into the rock it will harden onto the imperfections on the rock. Feel free to let us know if you have any further questions! 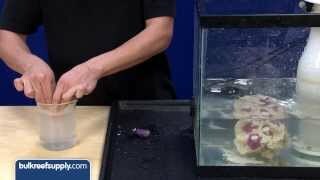 Can I use this product to connect live rock together under water? Sort of a second measure to prevent rocks from falling over. Yes, this product will work great for that application. You have both 104.75 and 104.76 pictured but I can't pick the product I want when placing the order. Which is which? I want to order 104.76. The only difference between those two models is the size of the container. 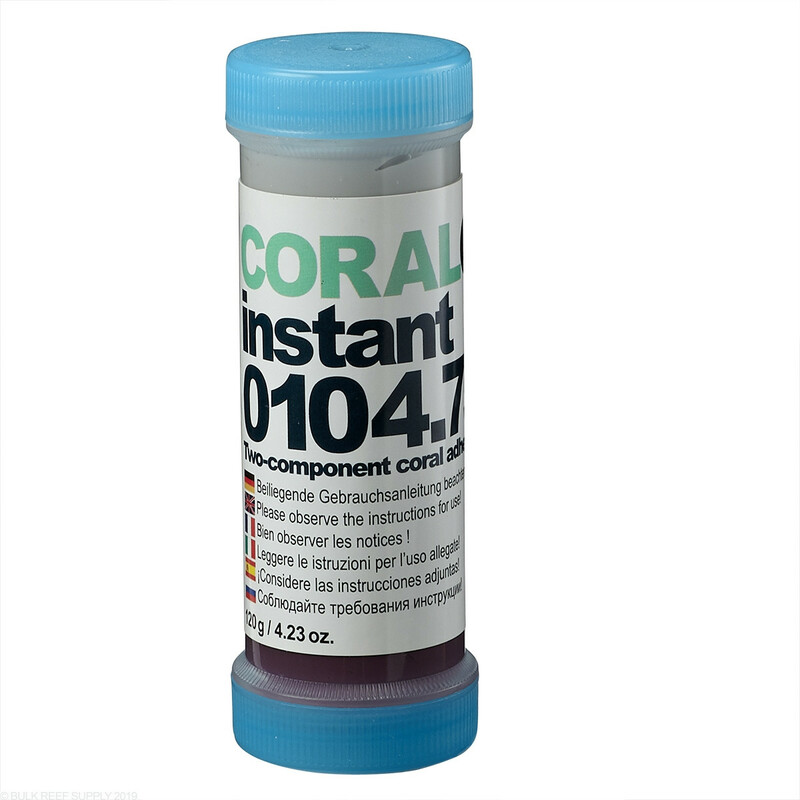 The 104.76 is the larger 400g container.